Google+ Local finally launched this week and has been receiving some very positive press. I've been dogfooding the product internally at Google for a few weeks now and it's great to finally see the service up and running publicly. 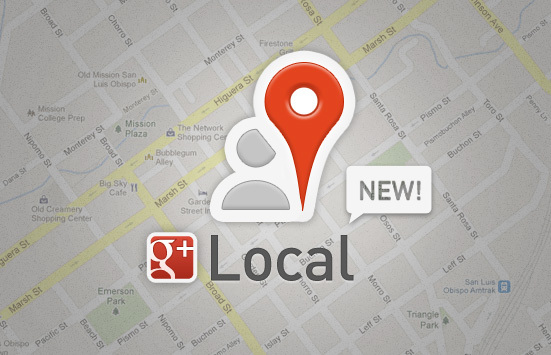 Google+ Local should absolutely be considered a full-fledged product, but users should also realize it is one of the first true unifications of Google's local services. Specific to Google, Google+ Local combines local listings previously on Google Places with reviews from Google's Zagat purchase last fall. Additionally, Local seeks to integrate with external services like OpenTable. The launch of Local also marks the official deprecation of Marisa Mayer's HotPot service (less a deprecation and more of an upgrade). I have family coming from out of town and I want to figure out the best place to take them for dinner. Opening up Google+ Local on my desktop allows me to choose from recommendations personalized for me (based on restaurants that Google knows I already like). I can also view recommendations others in my Google+ Circles have already endorsed, or simply look at broad categories of restaurants (Eg. Italian Food). I value my friends opinions when it comes to food (since most of my friends are foodies), so I can first choose to categorize and sort restaurants based only on reviews my friends have left. I also know that my family enjoys Italian food, so I can further look at only Italian restaurants people in my circles have reviewed. Doing everything I just mentioned would ultimately provide to me to a specifically tailored listing of restaurants, the Delfina Restaurant among them. I can see that four people in my circles all ate here and that they all enjoyed their meals. I can also see that Zagat was impressed, awarding an overall score of 26 for the quality of the meal. Google+ Local will even let me look around inside the restaurant if I so choose (check it out here on the Google Maps page). If I decide that I like what I see, I can now make a reservation for my entire family from within Google+ Local using OpenTable. That entire experience is magical. What before would have taken me a long time to research and reserve now only takes me a few minutes. At the same time, Local also provides to me more relevant and accurate information. In my experience thus far, the quality of Local reviews has been high and the recommendations Google has sent my way have been spot on. I'm really looking forward to seeing the service grow with a more active and engaged user-base. The mobile offerings (incorporated right into the Google+ and Google Maps android applications) are equally as impressive. I would encourage you to try Local for yourself and to try leaving some reviews for restaurants and other places you frequent in order to improve the accuracy of your recommendations. In the meantime, I already know where I'm taking my family out to dinner the next time they are in town! Posted by Patrick Dugan on June 02, 2012 .